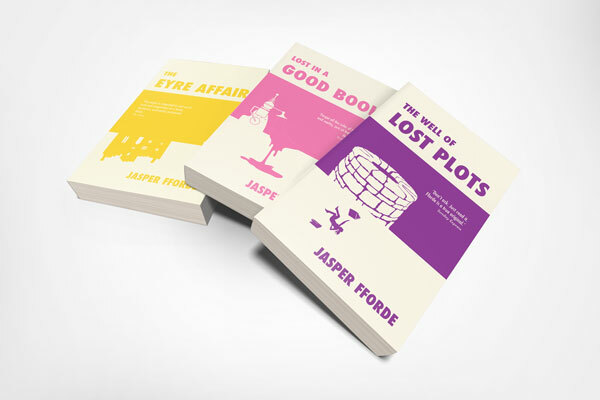 Jasper Fforde.com : What's New? This is a chronological order of updatement and a few press releases. 12th Feb 2019 Early Riser Special Features page updated. See my Early Riser page. 16th Jan 2019 Laugharne and Winchester Festivals added. See my my events page. page. 12th Nov 2018 USA Early Riser Tour Details revealed with various preorder options. See my Early Riser page. 12th Nov 2018 USA publication 'Early Riser' tour details listed on my events page. 6th Sept 2018 USA Early Riser Cover Revealed and various preorder options for the US on my Early Riser page. 5th Sept 2018 USA publication 'Early Riser' and Emirates Airline Literary Festival listed on my events page. 16th July 2018 Free Cardiff Library appearance on my events page. 13th July 2018 More appearances in Wales and Herefordshire now listed. 10th July 2018 Updated Bookstamp page with Early Riser stamp. 10th July 2018 Updated Giveaway Listings page with Early Riser postcards listed. 5000 postcards over eight designs. What will you get? 25th May 2018 UK Book Tour now revealed, click: here. 11th May 2018 Updated Downloadable Book Cover page. 11th May 2018 Updated author mugshots page. 11th May 2018 Updated Author Bio page. 4th May 2018 Updated FAQ page. 4th May 2018 Updated next book page. 4th May 2018 Early Riser Cover Revealed (UK) Early Riser page. 1st March 2018 Swindon/Wilts/Dorset/Llandeilo events added. More details, click here. Janis Joplin in surprise Thursday Next Emulation bid! 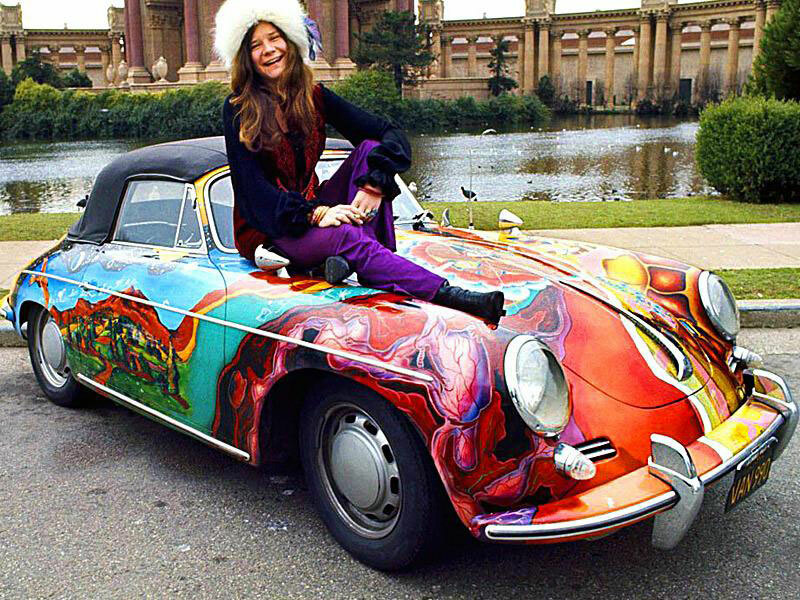 I'm indebted to Dave who sent this in to me - Janis Joplin on the bonnet of her Porsche 356, emulating Thursday Next's 'curiously painted Porsche'. In my mind I had Escher Lizards, but this will certainly do. 6th Feb 2018 Updated on Welcome! page. 6th Feb 2018 NEW on Picture of The Week . 6th Feb 2018 Updated Giveaway Listings on Giveaways page. 23rd January 2018 Updated Fforde pictures at Author Mugshot page. 22nd January 2018 Updated Events page at appearances page. 22nd January 2018 Updated 'Next Book' page on Next Book page. 22nd January 2018 Updated page at Early Riser page.